Call Us for Sandblasting Services! 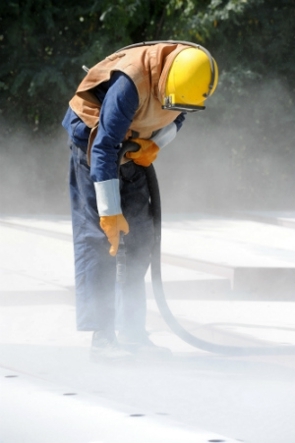 Are you looking for concrete blasting services? If so, look no further than Leroy Vasquez Sandblasters. Since 1981, we have been providing top-notch services to customers in Mira Loma and surrounding areas. Our professional staff specializes in both residential and commercial sandblasting services. From wood blasting to rust blast removal, you can count on us for reliable services. Our technicians use the latest technology and work diligently to get the job done on time. We also remove exterior stucco and make way for a new look to your home. For wood graining and distressing, call us at (844) 800-4726. Copyright © 2018 leroyvasquezsandblasting.net All rights reserved.